The design begins with standard ¼ instrument input with a thru-put to feed your tuner or your on-stage amp. 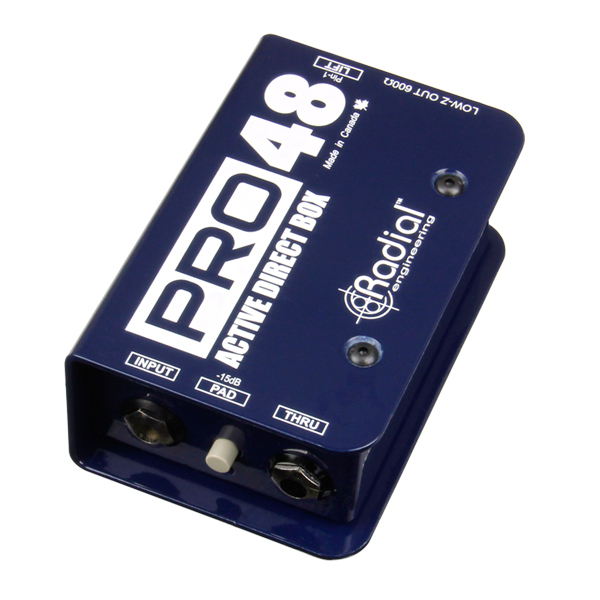 The ultra-quiet active circuit at once converts the signal from high to low impedance to reduce susceptibility to noise. 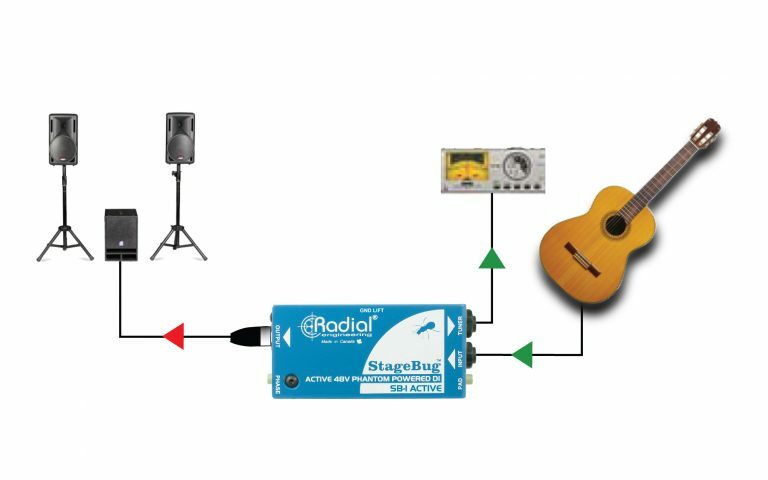 The signal is then buffered and balanced for long cable runs to the PA system. 48 volt phantom provides the power, so the SB-1 does not require batteries or external supply to make it work. 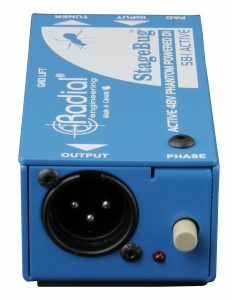 You simply plug in and you are ready to go! 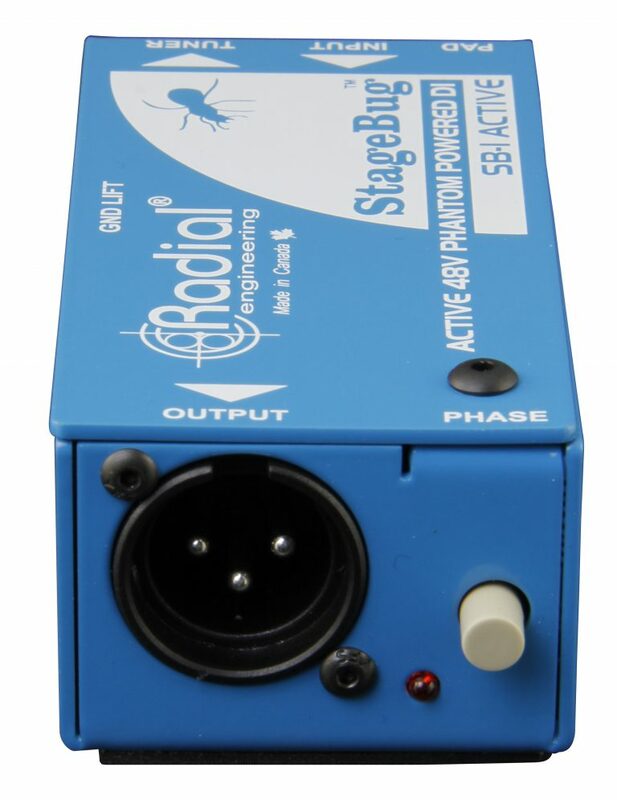 The StageBug SB-1 is plug & play easy to use. 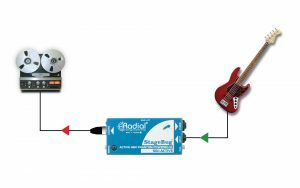 Connect and it automatically converts your Hi-z instrument signal to lo-Z and balances it for long runs. Record your bass direct using the StageBug SB-1. 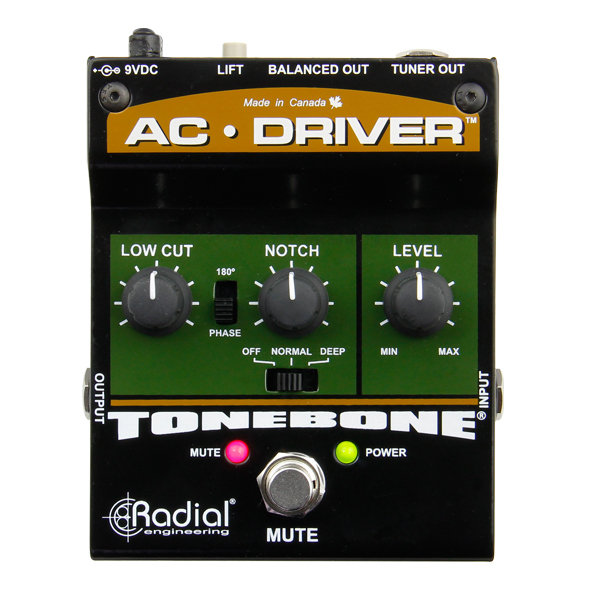 This improves the tone and reduces noise by properly matching the impedance of the instrument. Use the SB1 thru output to feed your on-stage amplifier. 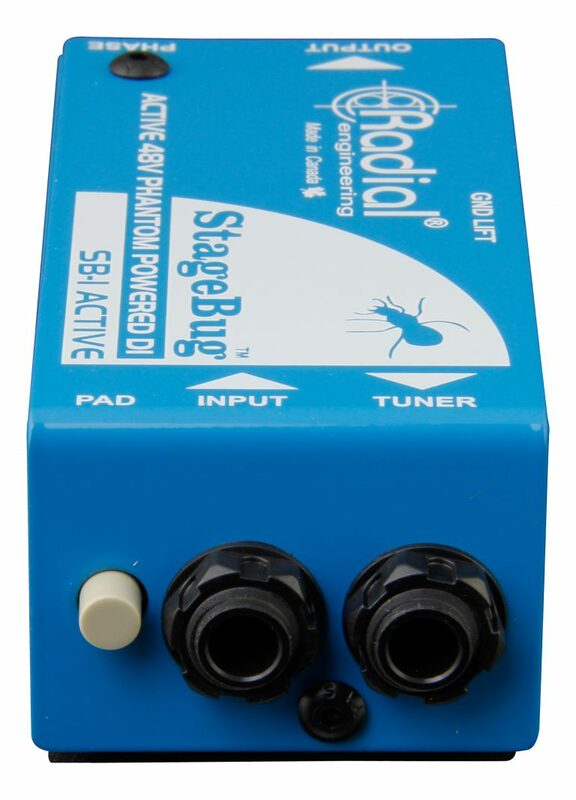 For fun, add pedals after the SB-1 to color your tone on-stage while leaving the PA signal clean. 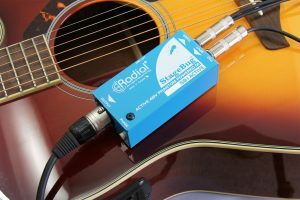 "StageBugs offer a portable and affordable DI for pretty much everyone, while still retaining Radial's reputation for quality. 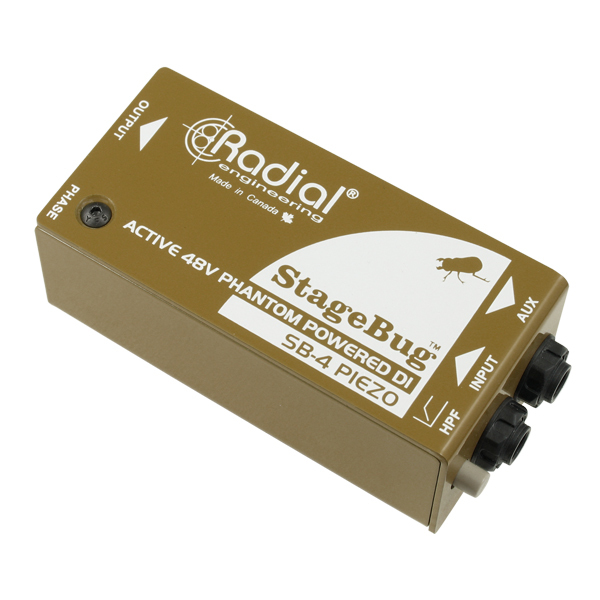 At such affordable prices, we may just see a swarm of these guys!" 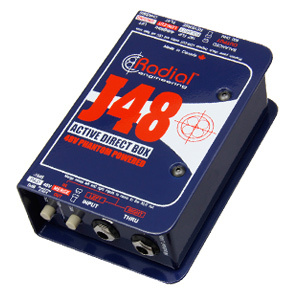 "My biggest regret is not finding out about Radial Engineering direct boxes sooner! 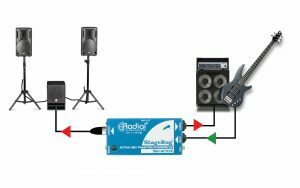 We have transitioned through our move to individual monitor mixes from FOH, to a dedicated monitor console, to personal mixers and the Radial direct boxes have continued to work flawlessly through all of our upgrades." 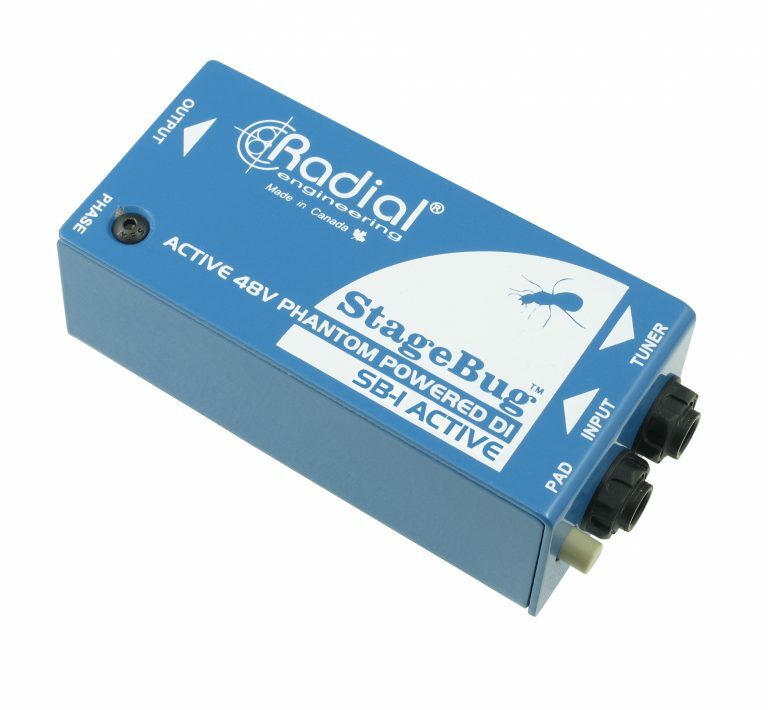 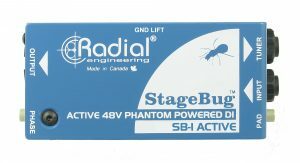 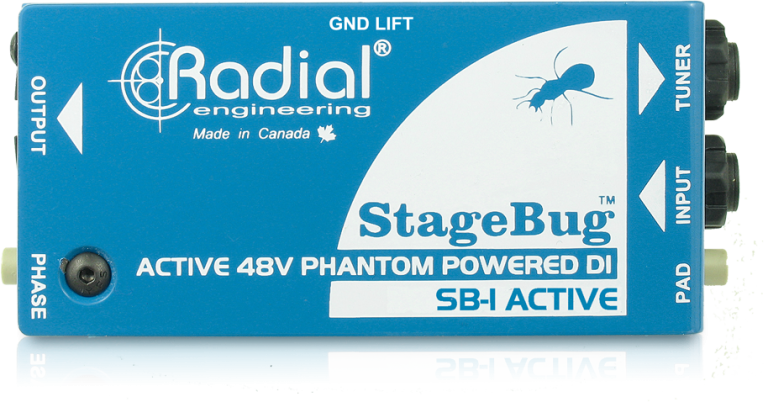 The Radial StageBug SB-4 is a compact active direct box that has been optimized for use with piezo transducers.